So what’s the longest word in the English language? I like words. 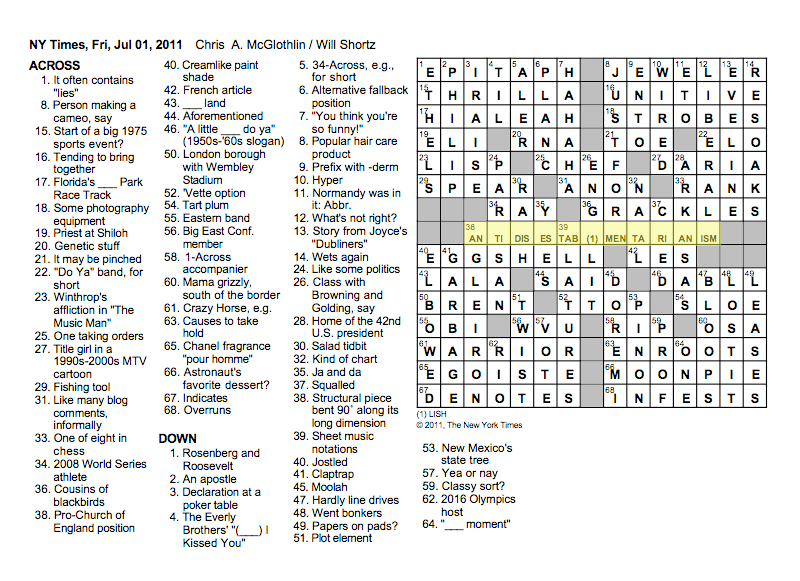 I love to do the New York Times Crossword puzzle which celebrates words, unusual usage and popular American culture. So I care about questions such as: what’s the longest word in the English language? Then there is Hippopotomonstrosesquipedaliophobia. It means fear of humongously long words, so presumably if you suffer from it you do not use it. My nominee for the longest nontechnical, everyday word in English is: antidisestablishmentarianism. It consists of 28 letters. Antidisestablishmentarians are people who are opposed to disestablishing the Church of England, which as you know was created by Henry VIII because the Catholic Church wouldn’t let him divorce. Now isn’t that a wonderful word?